This is not your typical western drama -- it is a series that will transport you back in time to the days of the wild, unsettled west. Retrace the steps of heroes who, despite the odds, fought and conquered the West. 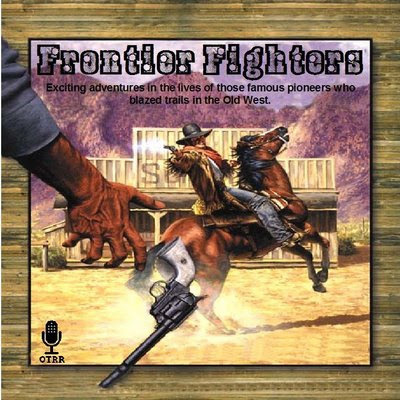 Frontier Fighters was a syndicated series that ran sometime during the 1930s. Each show dealt with some bit of history about the early West and ran for approximately 15 minutes. From Robert La Salle's navigation of the Mississippi River, to Lewis and Clark's challenge of reaching the West Coast of North America, Frontier Fighters will take you on an exciting voyage of the taming of the Wild West. This is American History at its best!